On June 11, 1918, in the Russian City of Perm, Bolshevik Andrey Markov arrested Grand Duke Mikhail Romanov of Russia (Tsar Nichola IIs brother) and his Secretary Brian Johnson. Markov went to Grand Duke Mikhail's hotel room armed with a pistol and grenade and forced Mikhail and Johnson onto a carriage. Markov told them that they were being taken to a waiting train near Perm. To go there they would need to take a short cut through the forest. Mikhail did not protest. When the carriages came at a large clearing, Markov announced that they had arrived; ordered Johnson out of the carriage and immediately shot him in the head. Mikhail, who had also left the carriage, ran back to his trusted Secretary and was himself then shot in the chest and head. What they did with the bodies is not recorded anywhere. Apparently, the Grand Duke's doctor was forced to come along for the ride, and he too perished at the hands of Bolshevik Andrey Markov. In our searches for the missing Romanov children, Tsarevich Alexis and Grand Duchess Maria, I had worked with Ground Penetrating Radar Expert, Vladimir Konstantinov. It is Vladimir K. who told me about the murder of Grand Duke Mikhail and that his remains had never been found. After completing my work on the identification of Tsar Nicholas II's family, I decided to start a Search for the remains of Grand Duke Mikhail. I contacted Konstantinov and we decided to do a preliminary search in July 2009. Russian Investigator for Very Special Cases Vladimir Soloviev (the head of the Romanov murder Investigation) sent me all available archival material pertaining to the Grand Duke's murder. There were eight different versions as to what, how and when then murder took place. Suffice to say the murder did occur on the night of June 11, 1918. When we arrived in Perm, we heard yet a ninth version of what had actually occurred. There was even a witness. When the Bolsheviks shot Grand Duke Mikhail, his Secretary and doctor in the forest, the pistol shots were heard by Local people who lived nearby. As this version goes: the carriage arrived at the clearing very late in the evening of June 11th, it was not yet dark. Markov shot Grand Duke Mikhail ; his Secretary and doctor and by then as it became too late to bury the bodies. Markov decided to cover the bodies with brush and branches, return the next day and bury the remains. The Local people heard the shots. A little boyalso took part of this search and it was he who found the bodies hidden under branches. He ran back to his home and told his father of what he had found. The father and other Locals found the bodies and buried them. 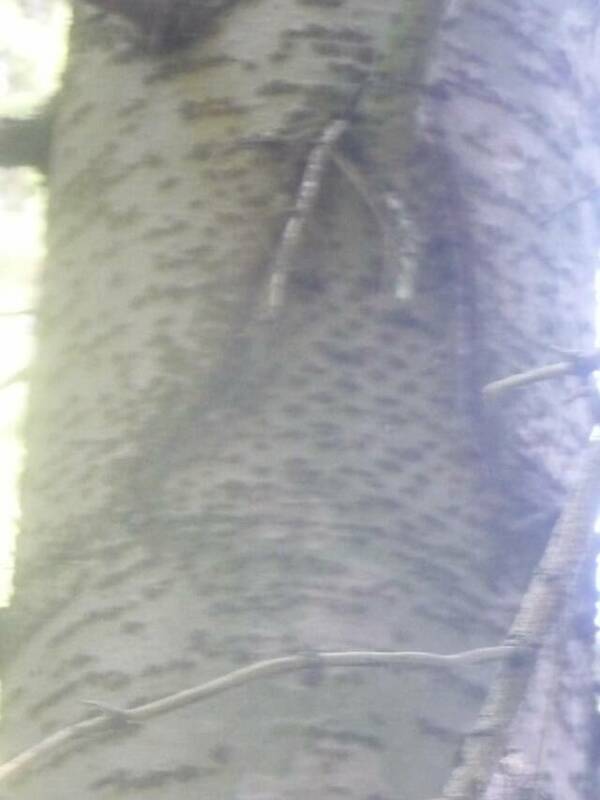 They marked the spot by carving the letter "M" on one tree and the letter "A" on another tree close by. The letters stood for "Mikhail Alexandrovich". When the Bolsheviks returned the bodies were not to be found. The little boy had kept the story to himself during Communist times . Finally, at age 92, he contacted a Russian Film Crew and told his story. He died shortly thereafter knowing that he had passed on the true version of what had become of Grand Duke Michael Alexandrovich. We were able to retrace this boys' footsteps and found the two trees; one marked with the letter "M" and the other with the letter "A". We have found the True version of what had occurred to Grand Duke Mikhail Alexandrovich and his trusted secretary Brian Johnson. The weather turned against us, it rained hard and the road to the field became impassable. We chose to leave things as they they were and to return next year to hopefully conclude this SEARCH. In August of 2012, the SERCH Foundation returned to Perm, Russia to search for the remains of Grand Duke Mikhail Alexandrovich and his secretary, Brian Johnson. With the assistance of the Perm District Government, the Russian Orthodox Church - Perm Dioscese and the Perm Procurator's office, we were able to start our search for the remains. My team consisted of Moscow Medical Examiner, Dr. Sergey Nikitin, GPR Experts Colonels Vladimir Konstantinov and Igor Parfionov. In June 2013 and June 2014, Captain Peter Sarandinaki, president of the SEARCH Foundation, Inc., led a team of American, British and Russian forensic experts to continue the search for the remains of Grand Duke Mikhail Alexandrovich Romanov and his secretary, Brian Johnson in Perm Russia. The Team of internationally recognized forensic specialists/experts consisted of the following disciplines – Archaeology, Doctor John Hunter (UK); Osteology, Dr. Sergey Nikitin, Russia; Cadaver Dog Training and Handling, Michael Swindells, UK; Remote Sensing- Aerial imaging and geophysics, Clark Davenport, USA; Forensic Botany - Crystal Strouse (USA) ; and Forensic Computer Analysis and computer mapping, Brook Schaub, USA. In 2014 we added a Russian team from Perm and Yekaterinburg consisting of an FSB Data Analyst, Colonel Alexander Mishchianski; an FSB Special Investigations Officer Colonel Andrey Bezmaternikh and Yurii Stepanov a geophysicist from Perm’s Gorny Institute, experts in the use of GPR (ground penetrating radar); two historians, Lubov Markova and Lubov Xhitrianova; a translator, two Clandestine Grave Specialists and a heavy equipment operator trained to follow archaeological excavation procedures. A buried cobblestone roadway, with a width of 10 meters. It is believed that this roadway is of significant importance in the murder of Mikhail and Johnson. The buried remains of structures including a box factory. Many remains show indications of being burned. An upper, overgrown road which tends to lead into the aforementioned cobblestone road. (This road was traced using vegetation analysis and shadows from the sun). The remains of a bridge (found last year). Although not yet dated, these remains appear to be of early 20th Century construction. The location of the bridge closely fits what is known from historic documents. Eighty bullets found impacted into a hillside, which is between the cobblestone road and the upper overgrown road are being ballistics/forensically examined in a crime laboratory. With your help and donations we will return to Perm in the summer of 2019 to continue our quest.